Frabjous Fibers Lucky Baaahboo is a 4 ounce braid of superwash merino, bamboo, and nylon. 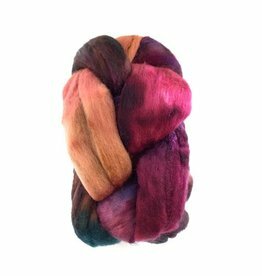 This spinning fiber is great for spinning wheels and drop spindles. 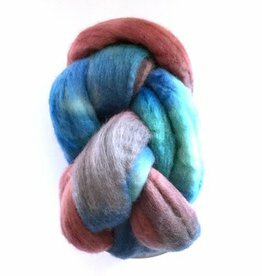 Kettle dyed in small batches, Frabjous Fibers Blue Faced Leicester is a great easy to spin roving that creates a final product that resists pilling. 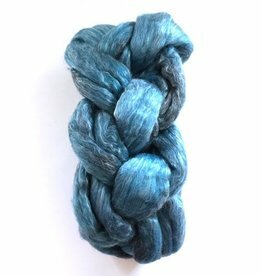 Lovingly hand dyed by Frabjous Fibers, the Merino Sparkle roving is a 4 ounce braid made from a blend of 21 micron Merino and nylon sparkle. 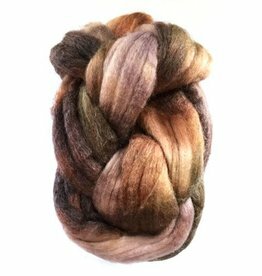 Frabjous Fibers Merino Tencel spinning fiber offers sheen for days! Made from a luxurious blend of merino wool and tencel. Hand dyed in Vermont.